Clear your calendar, because this spring and summer, Shuttlecock's bringing the punk gigs to town. 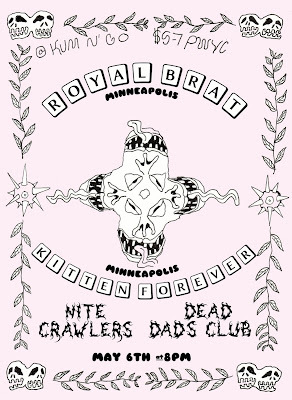 Snotty, bubblegum punks Royal Brat and groove-heavy, minimalist rockers Kitten Forever from Minneapolis will be making the trip to Kansas City. 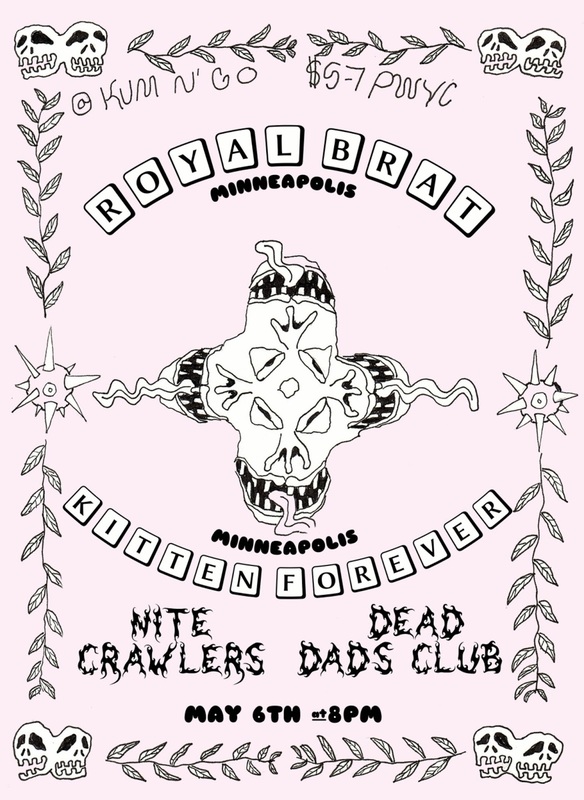 Joining them will be local paranoid ghouls Nitecrawlers and bedroom pop ensemble Dead Dads Club. The show will be taking place on May 6 at the Kum-N-Go house at 8pm. DM us on social media (@ShuttlecockMag) or email AaronRKC@gmail.com if you need the address. The show is all ages and we are requesting a donation of $5-7 for the touring bands, but nobody will be turned away for a lack of funds. RSVP on Facebook and invite your best pals.